Pravets Golf and Spa is located in the picturesque town of Pravets and is just 40 minutes from Bulgaria’s capital city of Sofia. This upscale resort is one of the first in Bulgaria which features an 18 hole championship golf course, a state of the art golf academy, 4 star plus hotel, spa, conference facilities and leisure facilities. 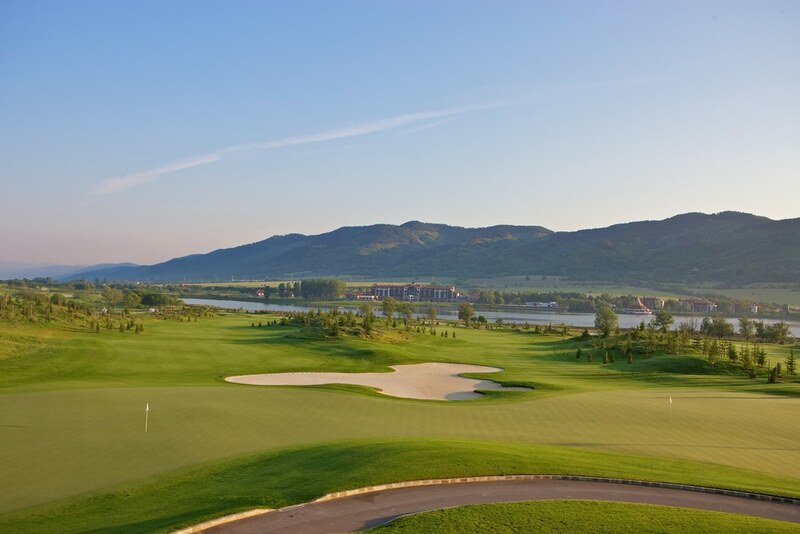 With the stunning Stara Planina mountain as its back drop, golf course architect Peter Harradine has created a par 72 championship golf course that hugs the shores of Lake Pravets. The course is a series of unique playing corridors and has numerous lakes and streams running through it. The golf course officially opened on 15th May 2011 and has hosted the Unicredit PGA Professional Championship of Europe since 2011 along with multiple high profile European Golf Association events. The course is fast gaining the reputation of being the best conditioned course in Bulgaria, while its state of the art golf academy has had rave reviews from Bulgaria’s golf community.